Based off of gitbrew’s 215d8903bc86539ca1da53519e2ac10eeafc4c27 ps3tools. .git folder not included to protect senstive info about the author. 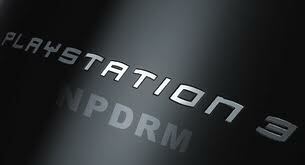 Add the files in the npdrm_keystuff folder to your ps3 keys folder. Create a file with your console’s 16 byte IDPS in the ‘idps’ file in your ps3 keys folder (e.g. ~/.ps3/idps). Copy your PS3′s exdata folder containing your act.dat and rif files to your ps3 keys dir (e.g. ~/.ps3/exdata/act.dat). Compile and have fun with your LEGALLY purchased NPDRM games! Also works on free games without exdata/idps. Apologies for any existing bugs in unself. Adding these changes to unself2 is left as an exercise for the reader. unself2 doesn’t like the metadata section with type 3 in my game. I haven’t yet looked around to see if this is type of section is documented anywhere.